Just spotted, Sydney Holster, after school kickin around the soccer ball with Julia, not much skill is involved, but they are still enjoying themselves. 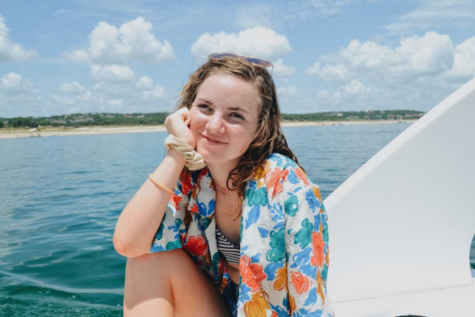 When Holster isn’t cooped up inside by her load of chemistry and calculus homework she could be found driving down to the lake or river with her friends. Holster’s got all the windows rolled down with music so loud it masks her off-key singing. Being the mom of the group, she’s got a picnic ready and packed with lots of avocados and maybe some tortillas for a snack along the way. She’s too nostalgic and sentimental for her own good. She falls for all the boys who will never fulfill the fantasy romance she’s always dreamed of… come on Sean Majors wya? Usually accompanied by Caitie Huff, she’s running late to all of their favorite extracurricular such as, Young Life, WYWP, or their local farmer’s market.